Home › Can I Travel with Marijuana? Medical marijuana is currently legal in more than half of the United States, including Ohio, while recreational marijuana has been legalized in a select few. Remember, at the federal level, marijuana is still a controlled substance. For a first-time offender, a federal marijuana conviction carries penalties ranging from 6 months to 1 year in jail, a fine of up to $1,000, or a combination of a fine and jail time. Subsequent offenses, as well as a conviction for selling or cultivating marijuana for sale, increase those penalties significantly. Federal authorities do not recognize the medical marijuana laws or cards of any state. And, while state laws apply to marijuana within the borders of that state, travel onto federal lands such as national parks or taking inter-state modes of travel subject you to federal laws. If you are properly registered with the state of Ohio and have managed to obtain medical marijuana, you should not experience any problems travelling with marijuana within the state of Ohio, as long as you are not operating a motor vehicle while under the influence. Travelling with marijuana between states is difficult because each state sets its own restriction and qualifying conditions regarding the amount of marijuana you can carry. Travelling with marijuana is further complicated because marijuana remains illegal at the federal level. If you are caught crossing state lines with medical marijuana you can be arrested and charged with drug trafficking. If you plan to travel to another state where marijuana is legal, familiarize yourself with the laws of that state before you go. It is often easier to purchase marijuana once you have arrived at your destination rather than travel with marijuana. Some states that have legalized marijuana for medical purposes will accept out-of-state authorizations for marijuana. The decision of whether to accept an out-of-state marijuana authorization is left to the discretion of the dispensary owner. 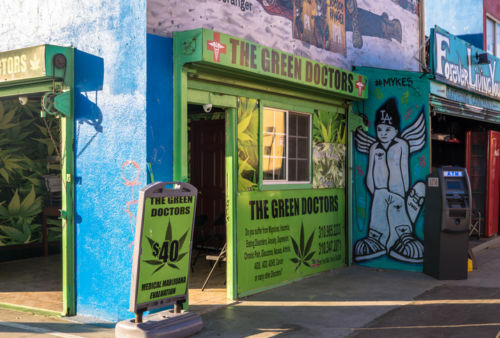 If you plan to travel to a state that allows medical marijuana, it’s usually best to call a dispensary in advance to ensure that you will be allowed to purchase medical marijuana. Also, even if you are travelling between states that have legalized marijuana, whether for medical or recreational use, you will still need to register in the state you are visiting. According to the Transportation Security Administration (TSA), TSA security officers do not search for marijuana or other drugs. However, air travel within the United States is regulated by other federal agencies, including the Department of Transportation (DOT), the Federal Aviation Administration (FAA), and the TSA. Even though TSA may not screen for illegal drugs, if a TSA officer suspects you of illegal activity the officer will likely detain you and refer the matter to state law enforcement. Be sure to check luggage, carry-ons, and clothing to be sure you do not inadvertently try to travel with marijuana. When confronted by law enforcement, the excuse of “I didn’t know” is rarely acceptable. If you choose to travel with marijuana, be sure to travel with a copy of your medical marijuana card, a letter from your marijuana provider, and other state documentation that relates to your recommended use of marijuana. If you happen to be travelling between states that have legalized marijuana, many airport security officials will simply dispose of your marijuana much the same way as they would throw away a bottle of water before you pass through security. If you intend to travel on the road with marijuana, the same rules apply. If you are in possession of marijuana, don’t cross into a state where marijuana is illegal. If you do, you will be in violation of that state’s laws and will be subject to prosecution. Keep your marijuana out of sight and, if you’re driving, keep in in the trunk. Do not give law enforcement a reason to stop you. Don’t drive erratically, don’t speed, don’t swerve, and avoid aggressive driving and other behaviors that draw attention to you. Make sure your vehicle complies with all relevant laws, such as having working lights and turn signals, and that your tags and registration are up to date. If you are stopped by law enforcement, be respectful and do no give them a reason to search your vehicle. Do not give law enforcement any information, assert your right to remain silent, and do not consent to a search. Never travel internationally with a controlled substance, even if you have a prescription. You will quickly find yourself locked up and navigating the legal system of a foreign country, which is exceptionally difficult. If you are an Ohio medical marijuana patient and have concerns about travel with marijuana, contact Wolfe Legal Services today. I have more than 23 years experience serving people throughout greater Columbus, including Dublin, Worthington, Westerville, Bexley, Delaware, Upper Arlington, New Albany, Marysville, Hilliard, Delaware, and Newark, and throughout Franklin County, Delaware County, Pickaway County, Fairfield County, Union County, and Licking County. Call or Text (614) 263-5297 any time or complete our secure, confidential, and free online form located on the home page.